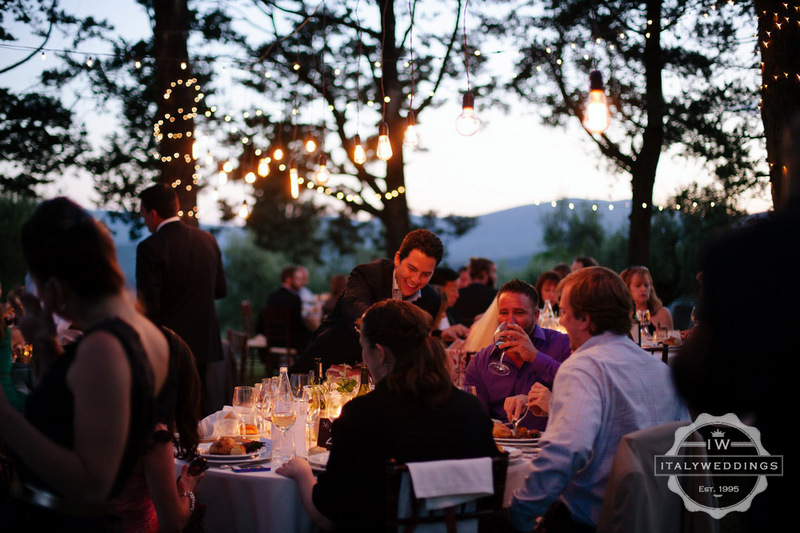 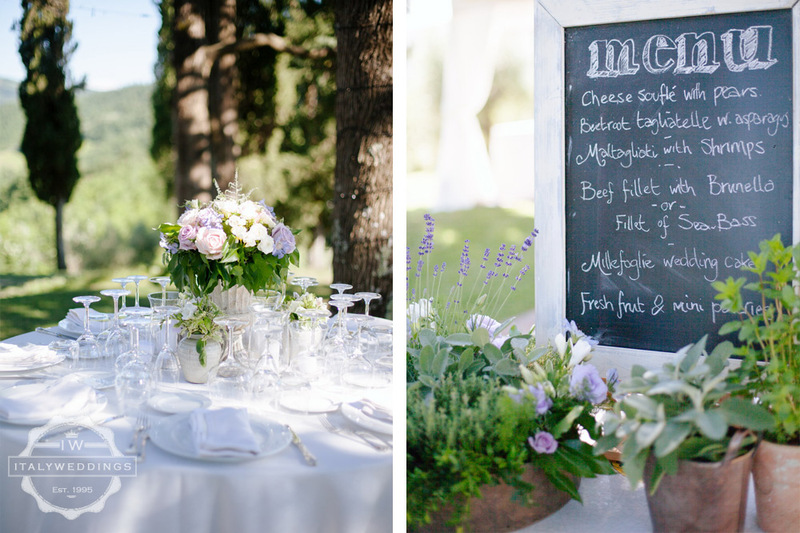 Lana and Ben wanted to create an intimate, relaxing event, but with a magical, truly Italian feel. 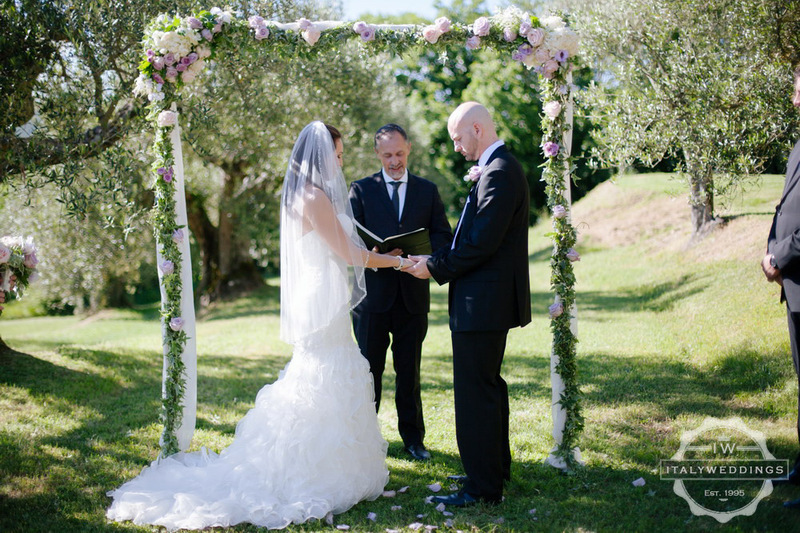 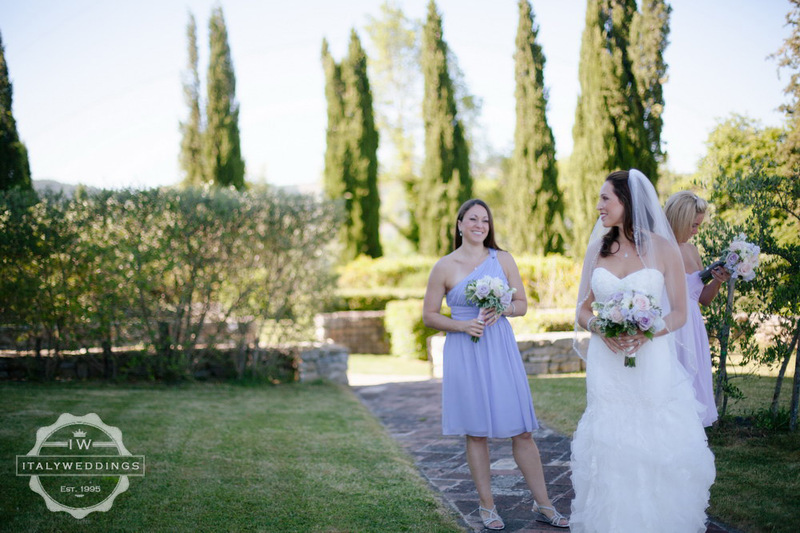 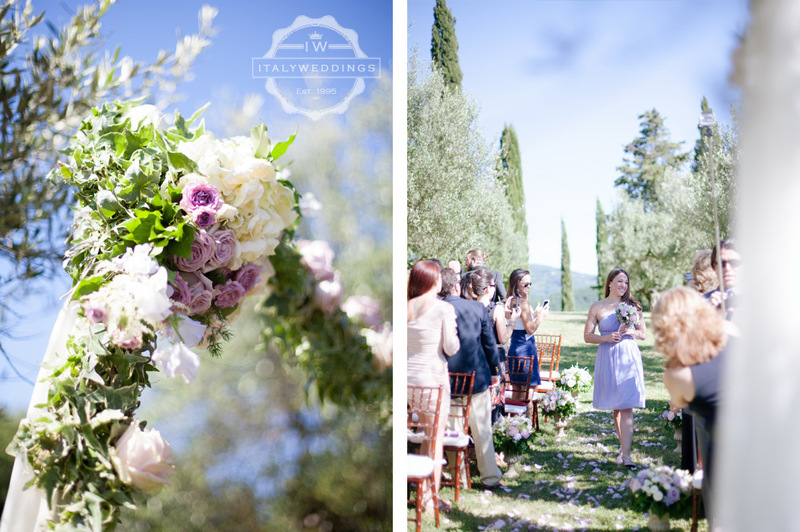 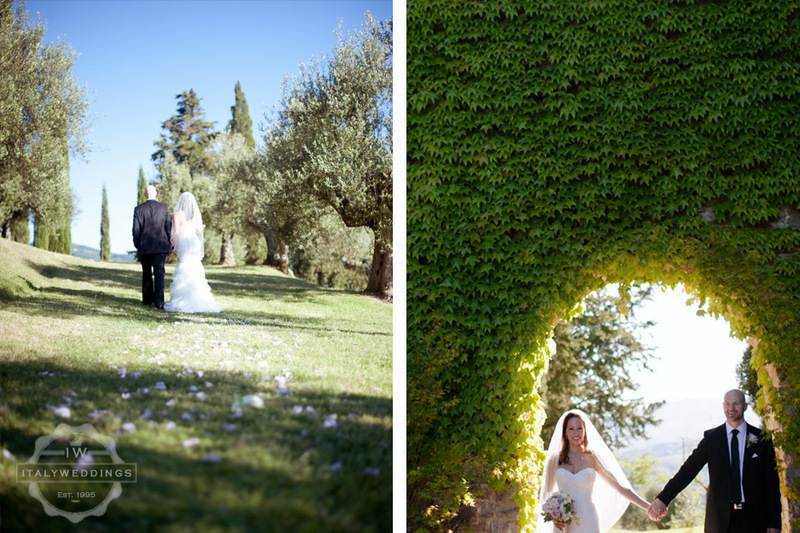 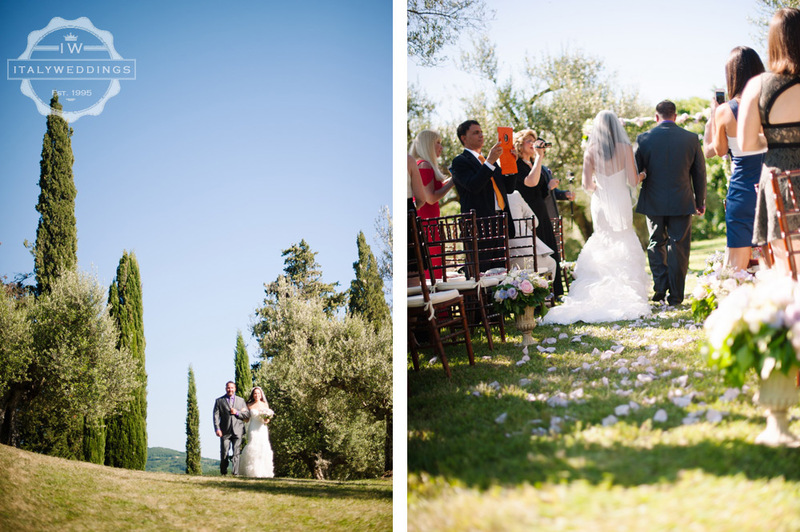 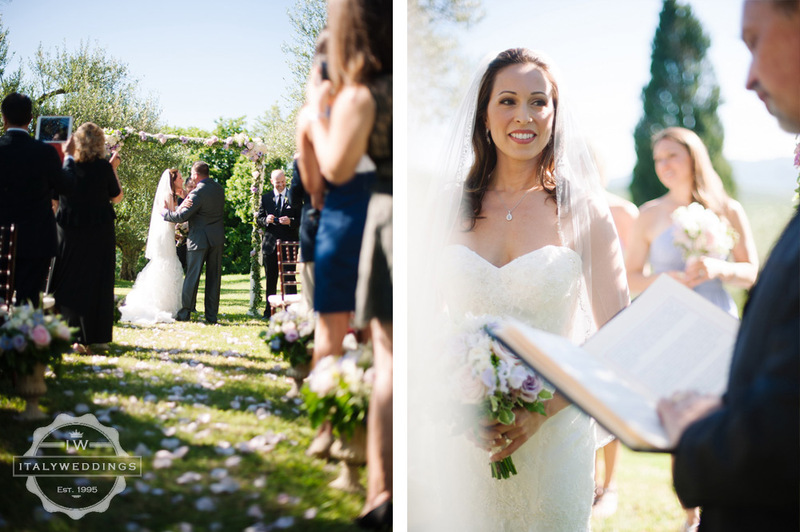 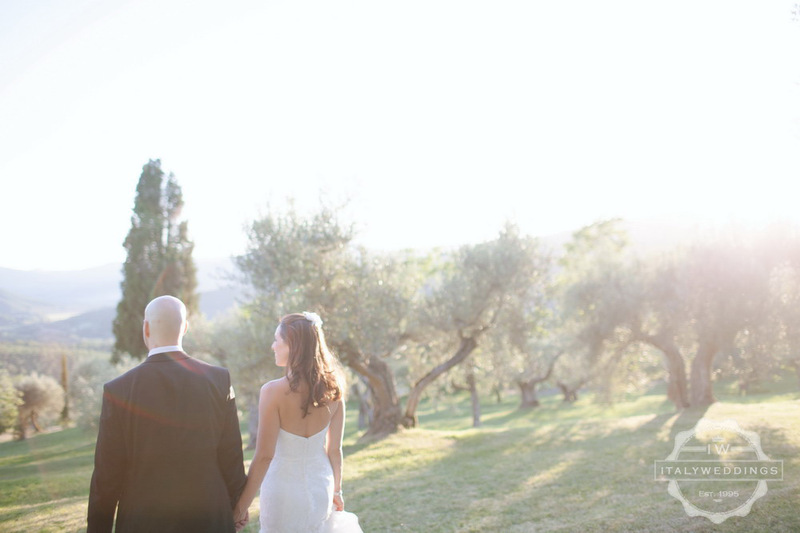 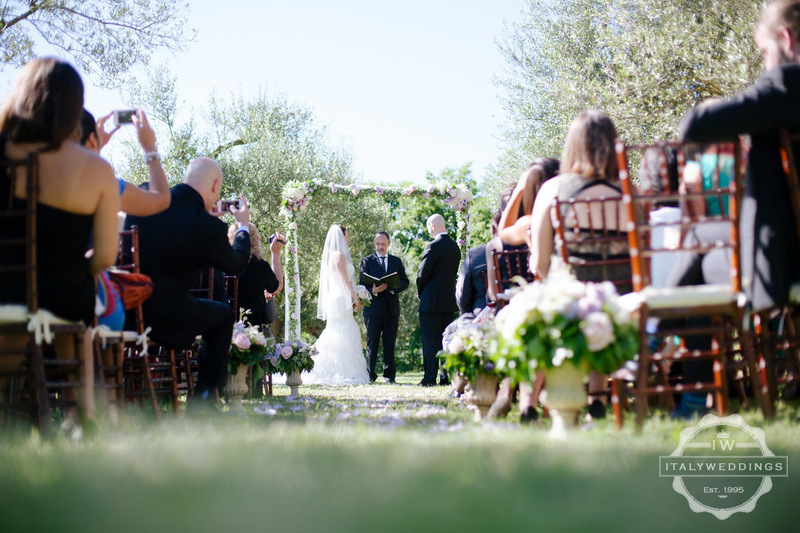 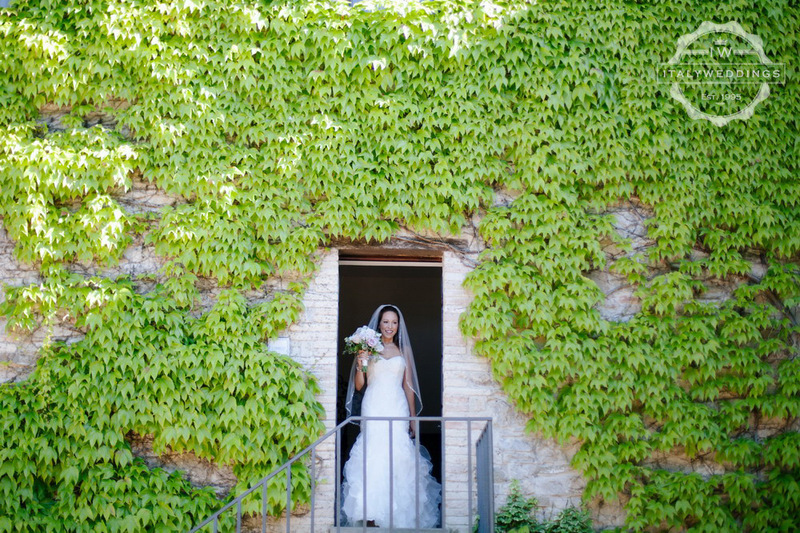 They opted for Umbria – the green heart of Italy, and held the symbolic blessing under mature olive trees on a warm May day. 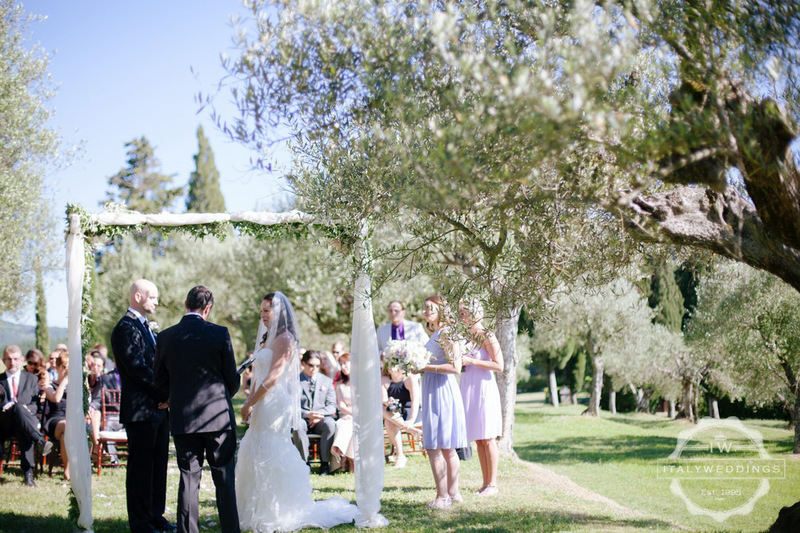 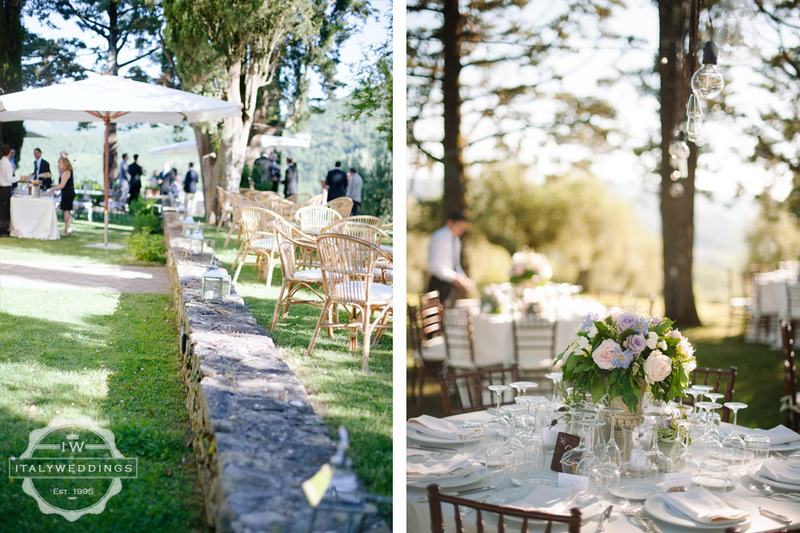 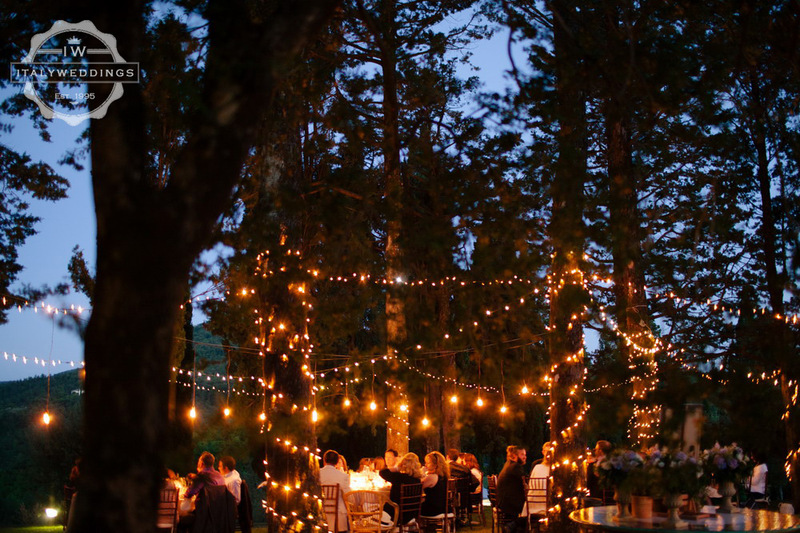 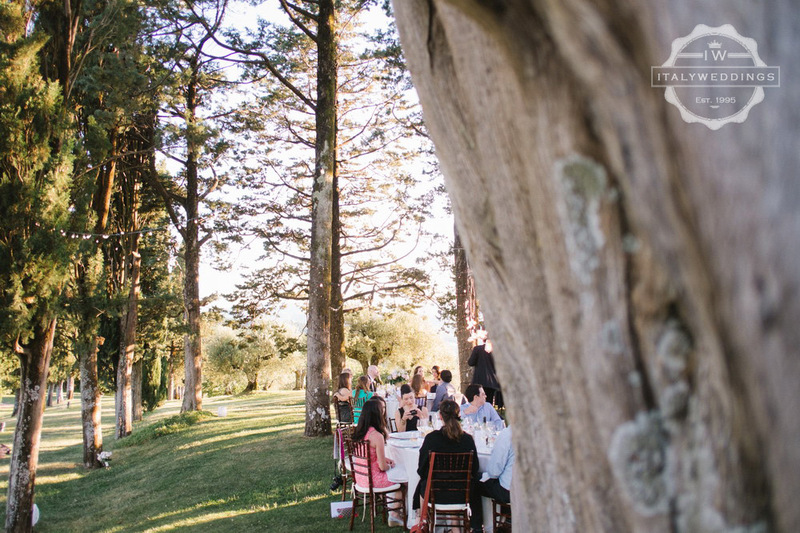 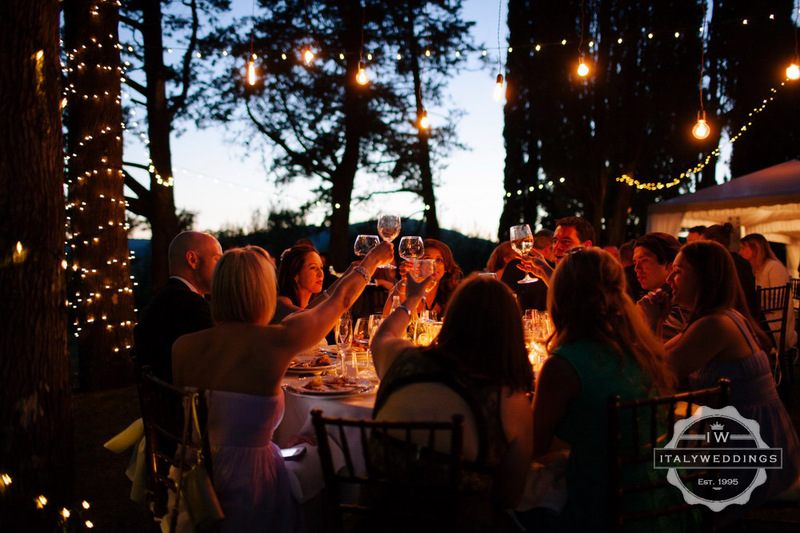 This was followed by cocktails around the ancient Borgo Lavandula (converted village) and a long, relaxing reception under the pine trees, strung with a mix of fairy lights, Edison style bulb lights, and tables decorated with seasonal flowers in a theme of whites, soft purple tones and blush pinks. 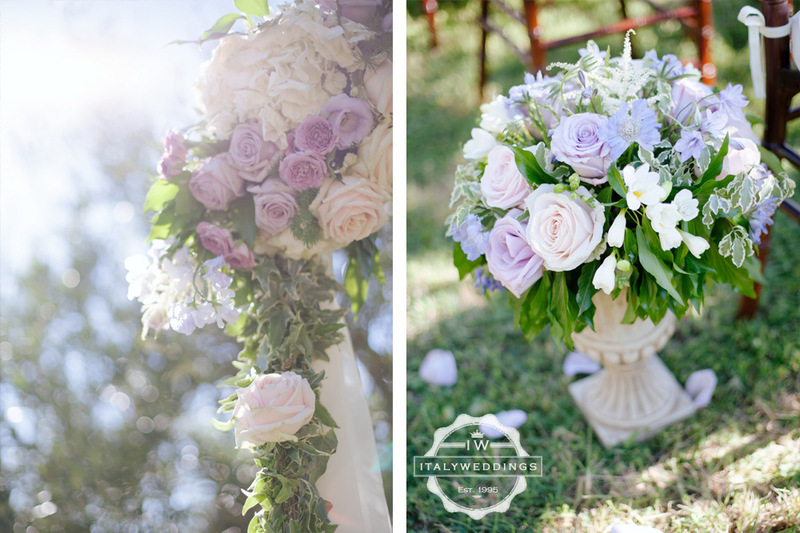 Aromatic herbs in aged Terra-cotta vases, a mix of silver and vintage lanterns and stone earthenware were introduced by Marisa, the florist from Le Petit Jardin, to create a mood that was whimsical and light, while creating an overall feel of the Mediterranean. 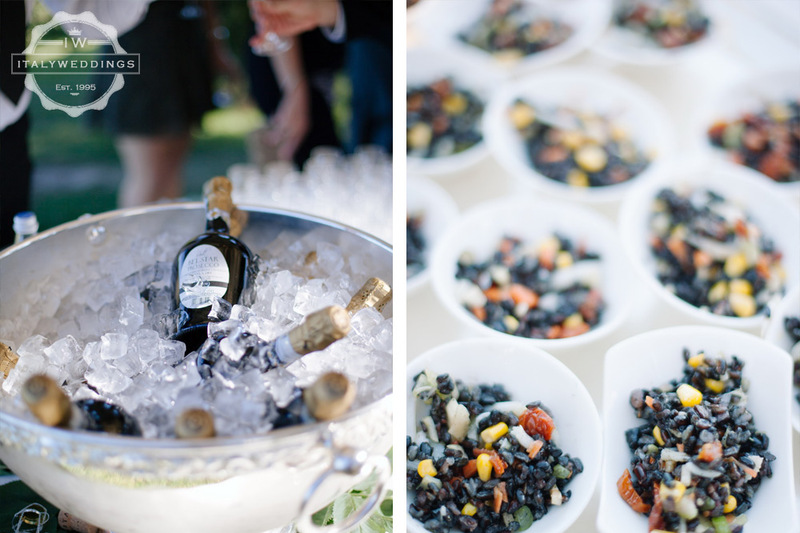 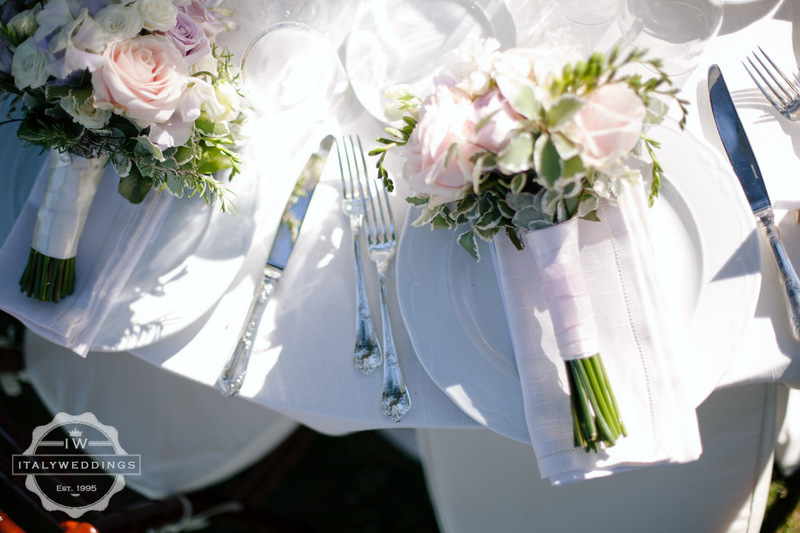 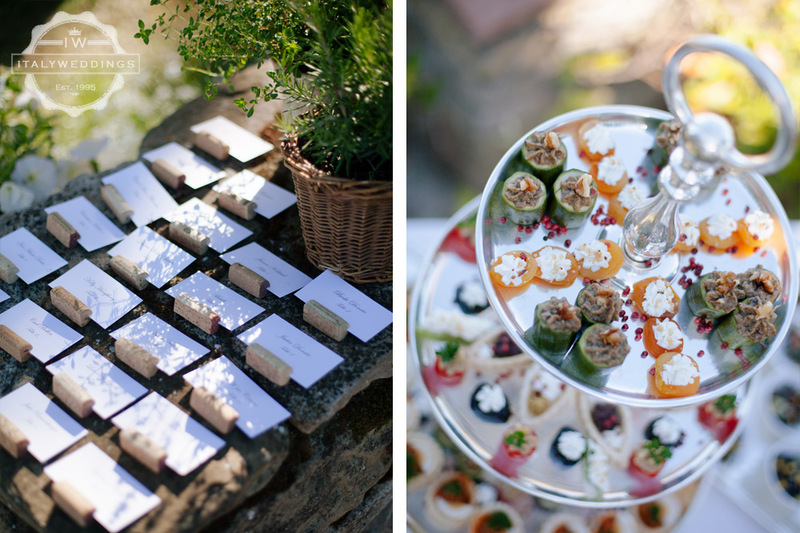 Catering was designed to delight with the best that central Italy offers – never overly heavy, always exciting the tastes with genuine, true local ingredients and preparations from the Tuscan and Umbrian traditions. 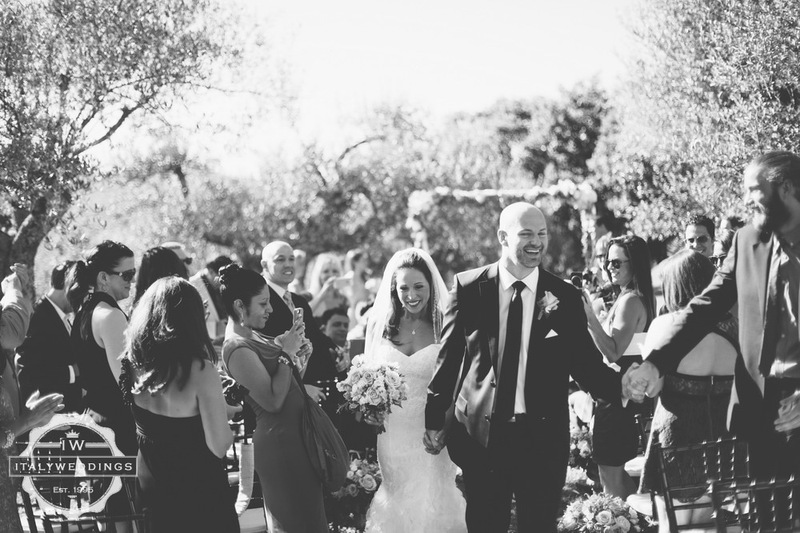 It was so much more than a wedding day… it was an experience that we and our guests will never forget. 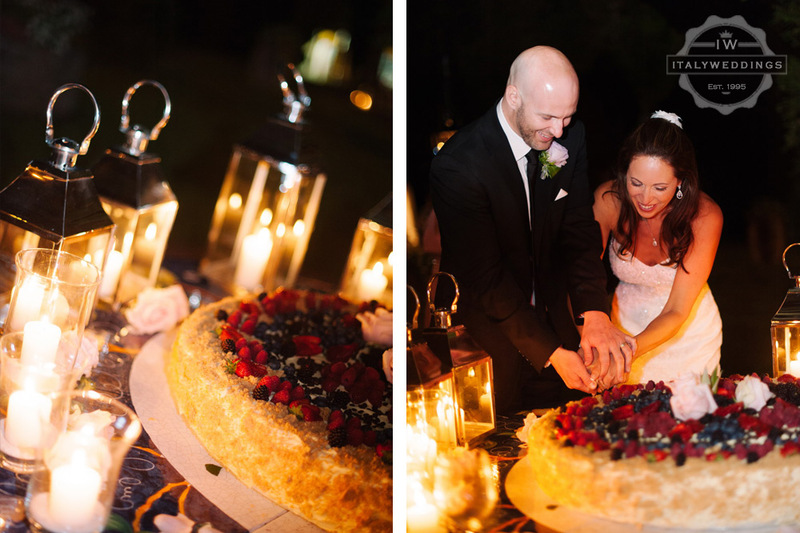 The wedding cake was a traditional Millefoglie: layers of Chantilly cream, biscuit pastry, fresh cream and wild berries. 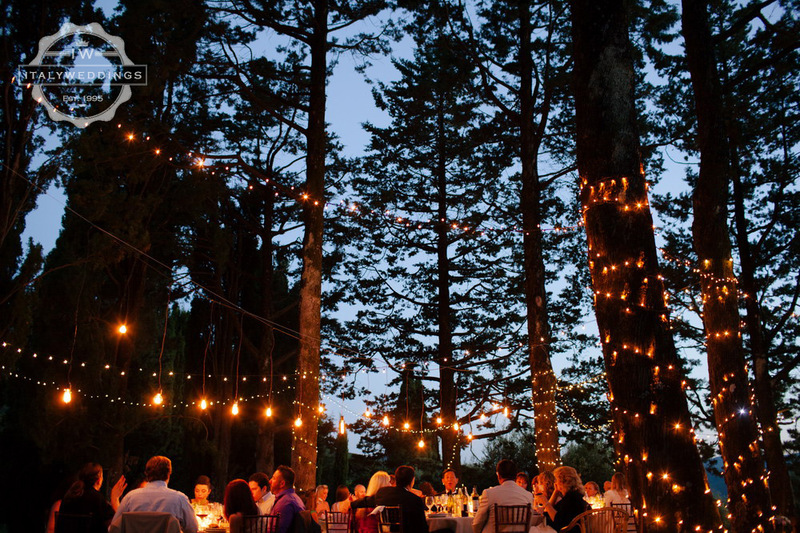 Delicious at the end of a long night and full meal, and great for cutting pictures. 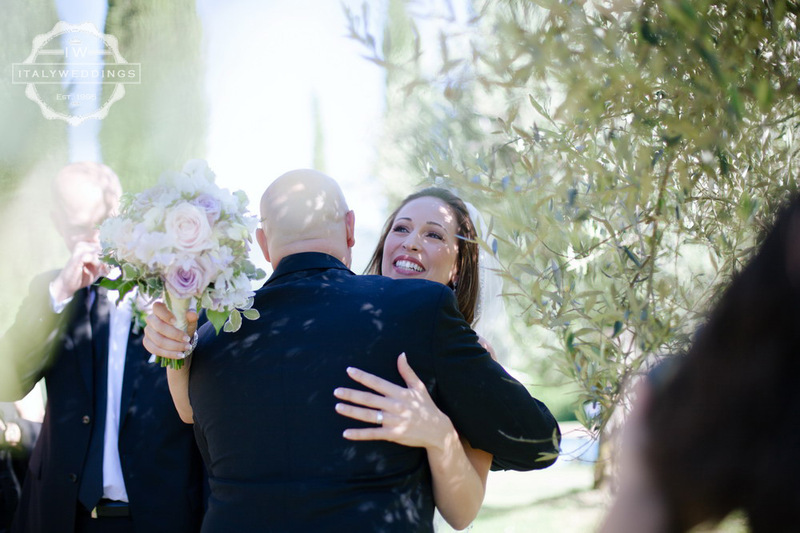 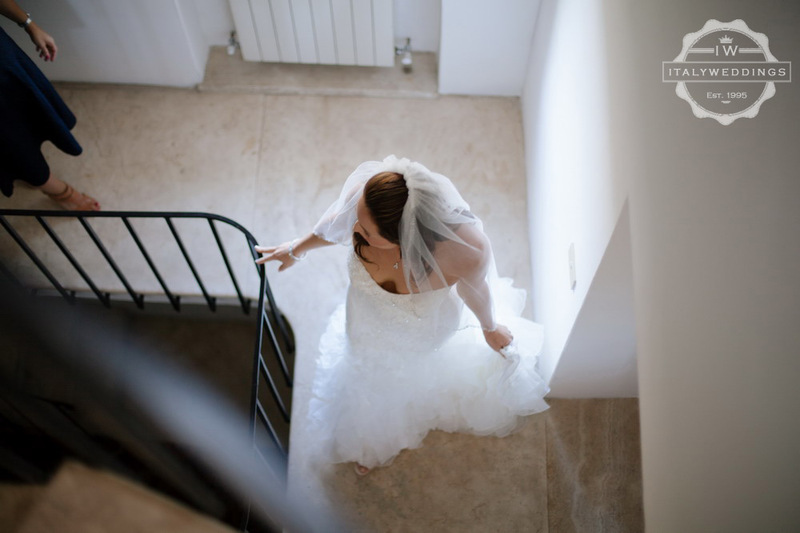 The couple stayed several days at the villa with family and friends, allowing them to mingle and meet at the rehearsal meal, relax by the pool, see the sights and museums of central Italy, and have a large recovery brunch following the event. 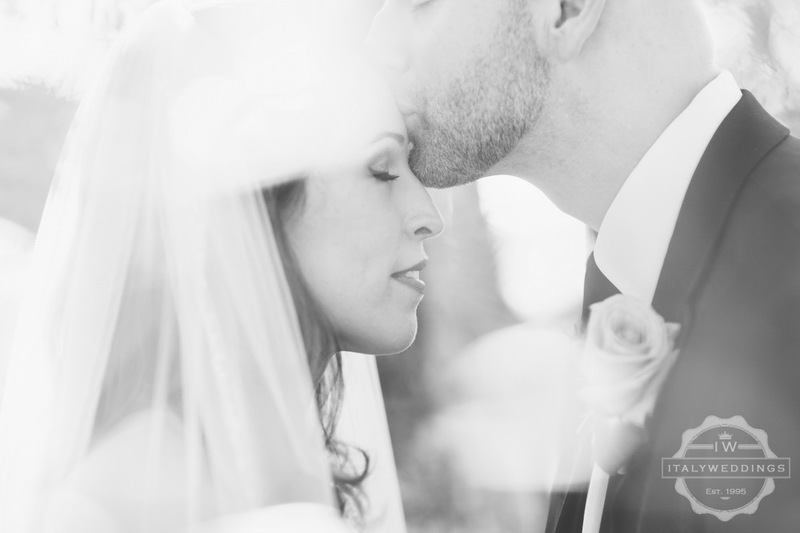 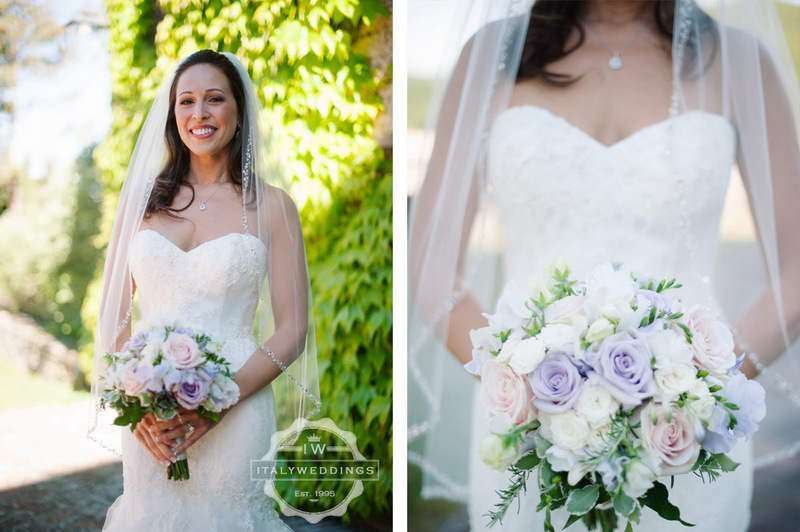 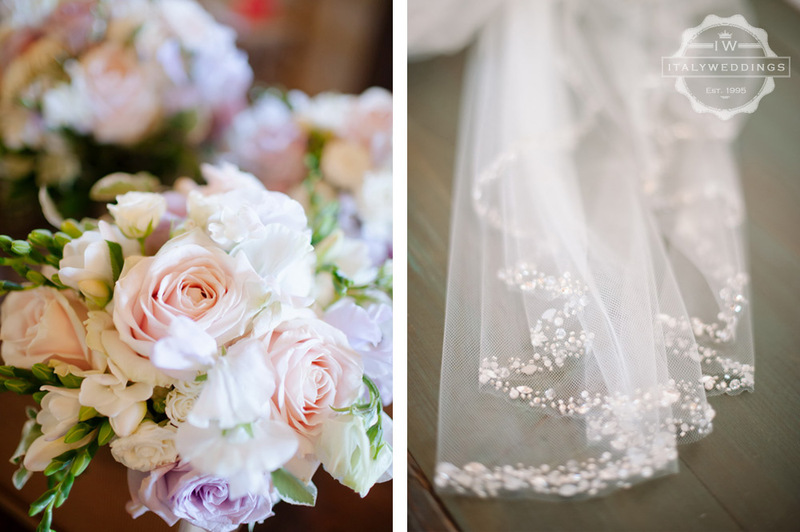 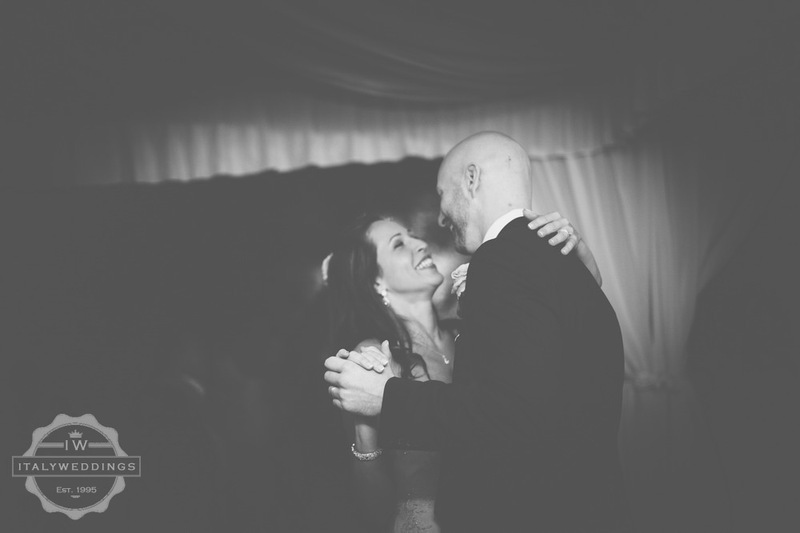 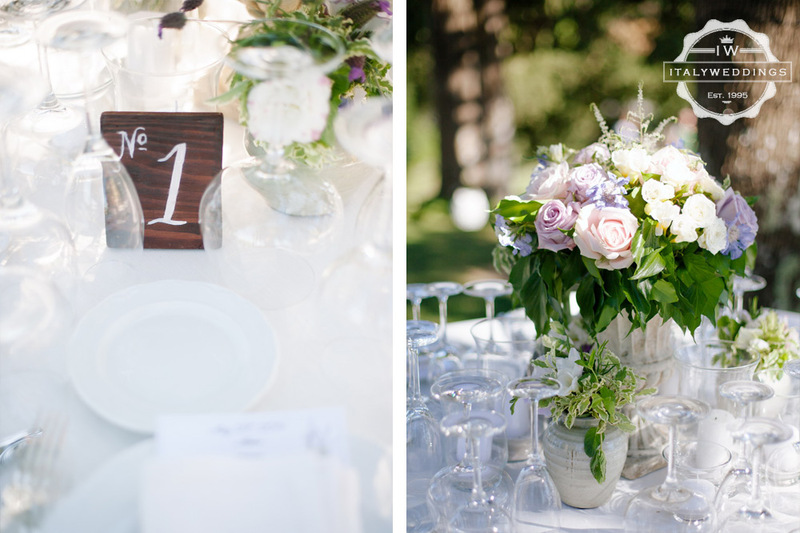 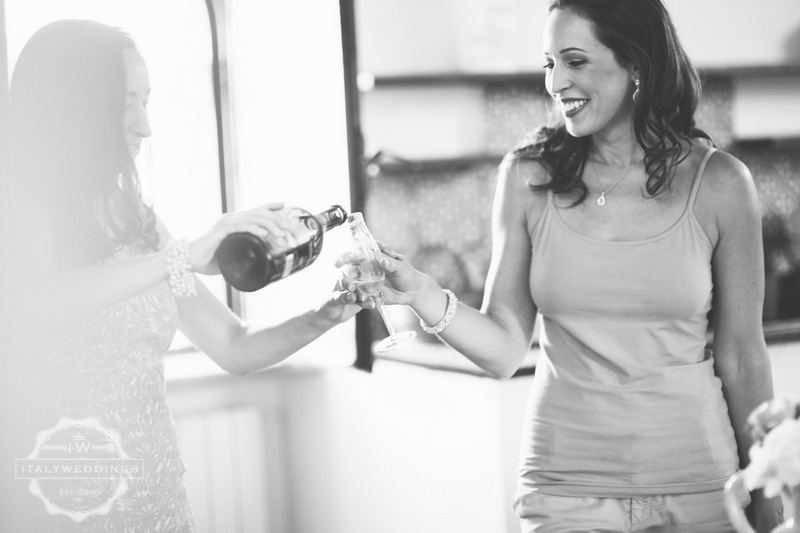 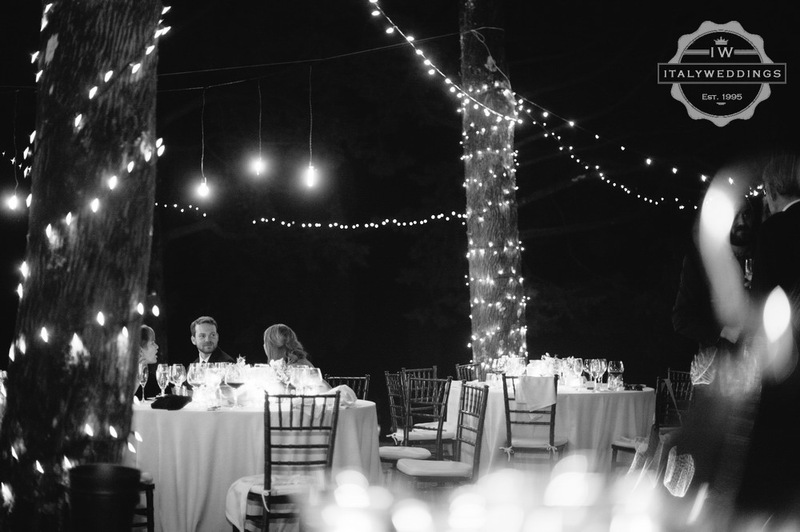 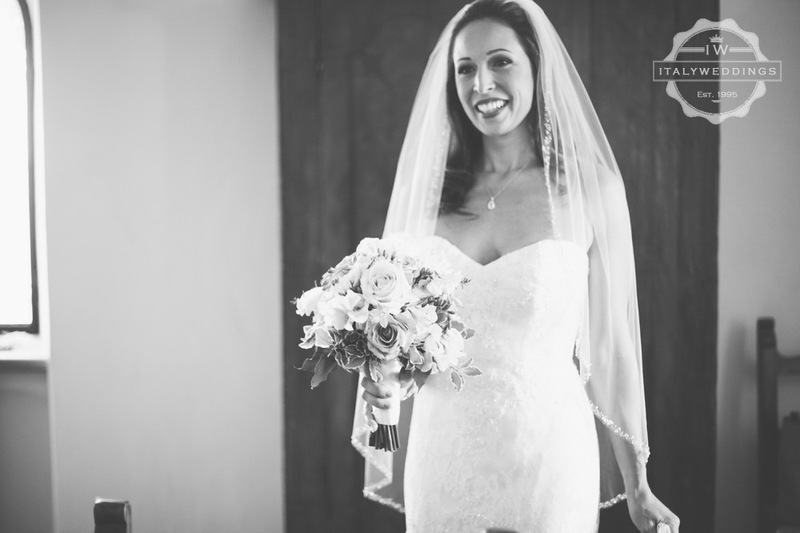 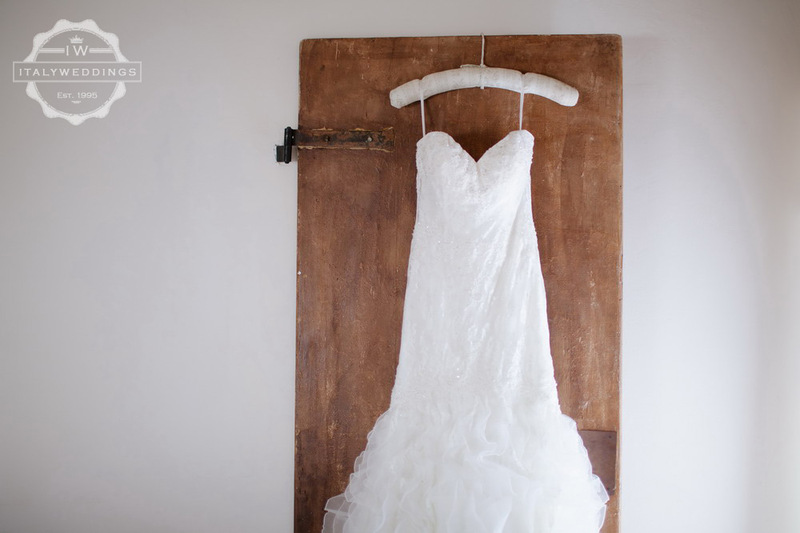 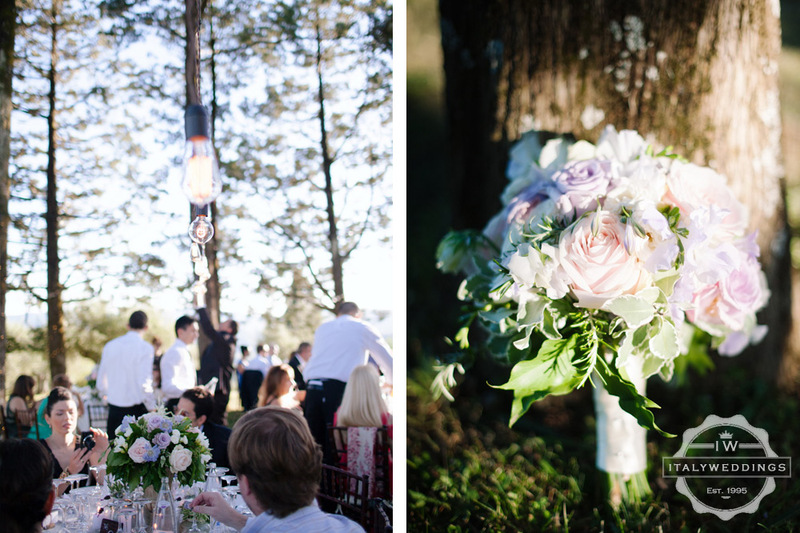 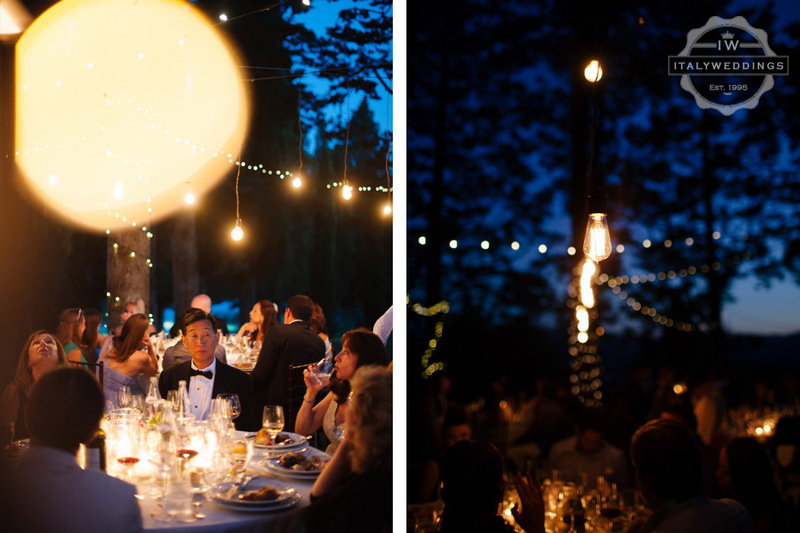 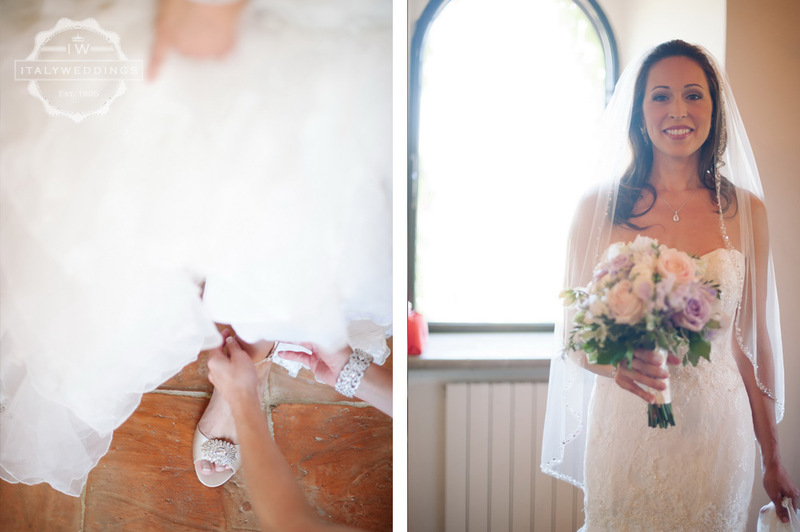 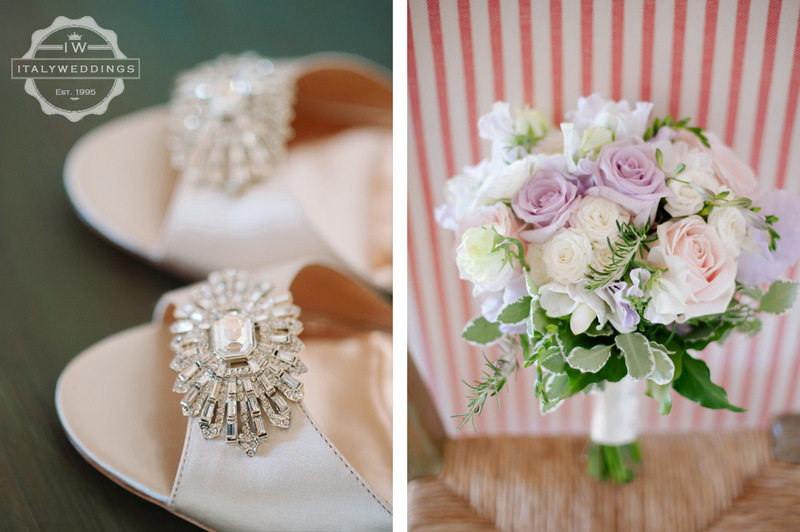 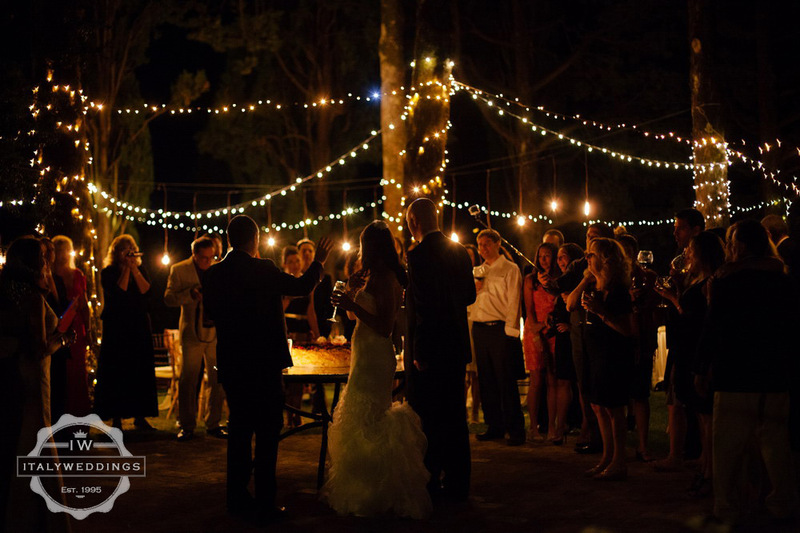 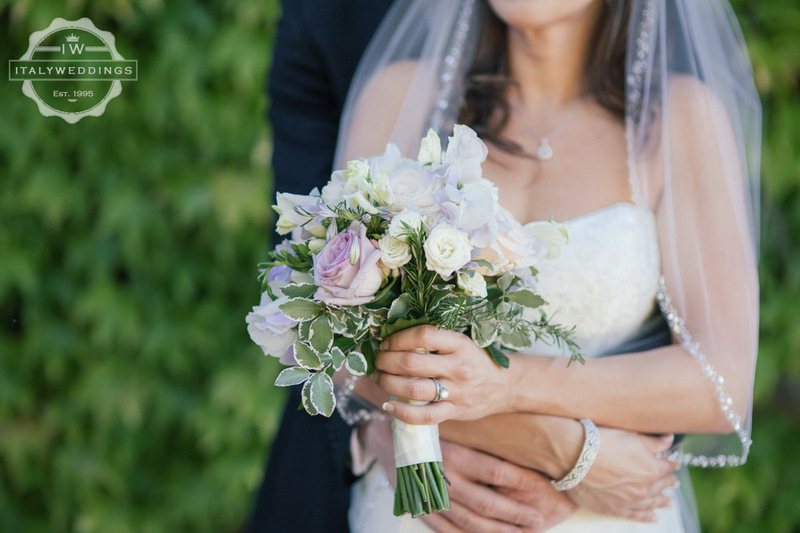 “My goal was to create a casual and relaxed atmosphere with rustic elegance. 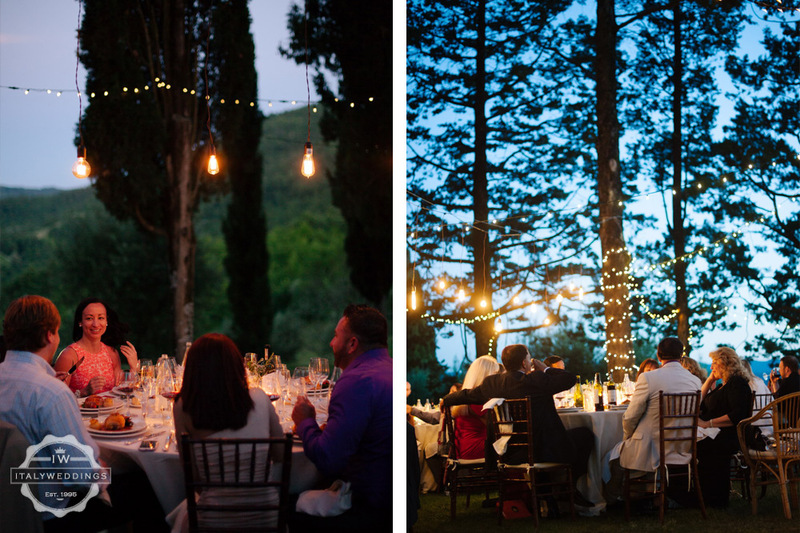 I wanted our guests to appreciate the beauty of the Italian countryside, and experience some of the amazing food and wine that Italy has to offer. 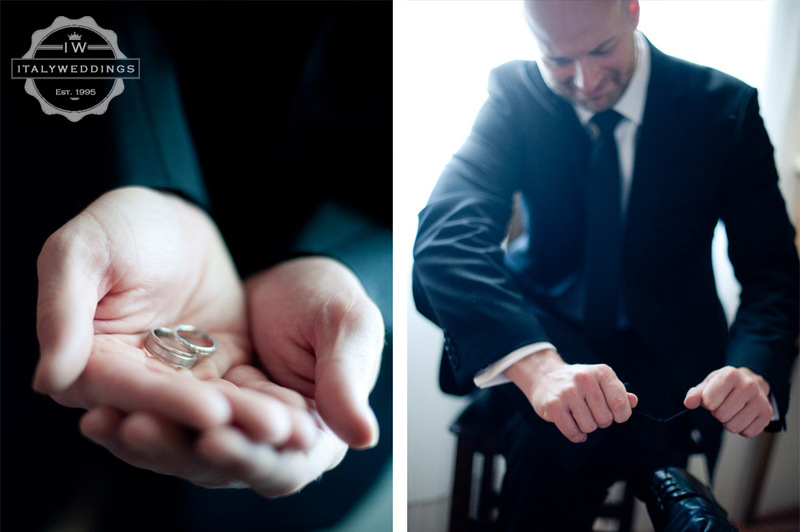 I feel that we accomplished this completely and perfectly. 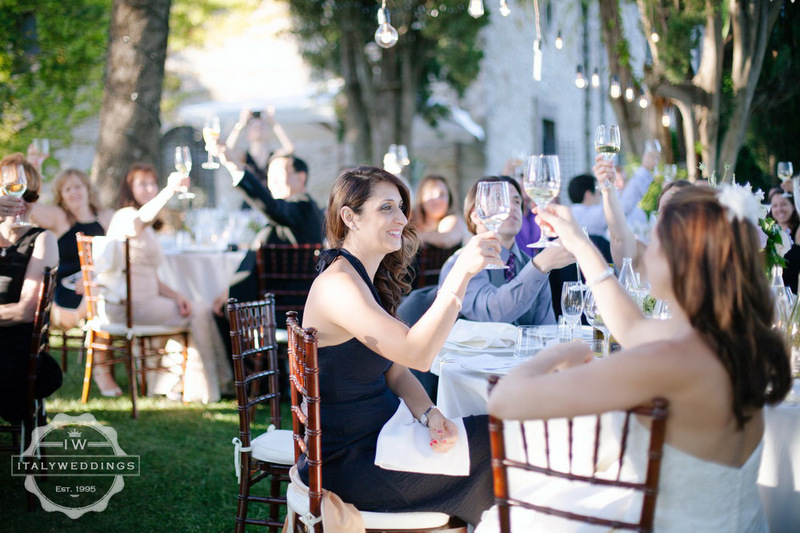 It was wonderful to have everything on site, the wedding ceremony, the dinner and reception, freeing up time and allowing for guests to spend the day either lounging at the pool, strolling the property or sightseeing.